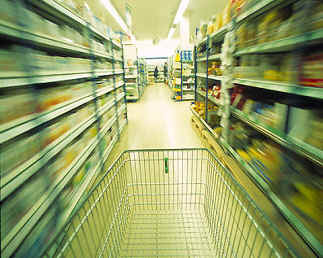 The Fast Moving Consumer Goods (FMCG) industry focuses mainly on non-durable consumer goods. These goods comprise of those items that are fast selling and move fast off the shelf of retail outlets that display them. In India, the FMCG sector is massive and is said to be the 4th largest industry making a considerable impact on the Gross Domestic Product (GDP) of the country. The beauty about this sector is that it offers employment to millions as it employs professionals for different departments like marketing, sales, product development, market research etc. Thus, the opportunities offered by it are limitless. The FMCG sector is often known for its permanency. But, why do so many people vie for the FMCG cookie? Let’s find out. The FMCG industry is based on consumer goods. India with its teeming population does not only require supplying these good domestically but being an exporter, India is also an international shipper. This makes the industry stronger as the consumer base that never gets weak due to demand conditions. Yes, sales may drop but production never stops. Most of these are non-durable goods, like food products, processed foods, aerated drink etc. Any surprises why the demand does not fall? Vis-à-vis the other sectors in the country like power, banking and financial services that are invariably dependent on external and internal market conditions, investor sentiments and the liquidity in the country, the FMCG sector is a more stable sector driven purely by necessities that each family or individual may have to buy, no matter what. Therefore,this translates into lesser layoffs in difficult times against other sectors that have lay-offs in multitudes. Considering these are fast moving good, the need for research and development is intense and so is the need for innovation urgent at any hour. Considering each type of professional is making a career in a FMCG company, the exposure to other departments in the same company and the harmony created to work with one another to roll out one consumer good after another, leads to thorough market research experience. Imagine the magnitude of Coca-Cola careers that offer such profound insights and knowledge to its employees into a single trademark beverage and its market throughout India. It’s not like rural India does not have access to the goods sold in urban areas. In fact, all of them are available even in rural India. This gives you an advantage of making a career in rural India and urban India. The companies have their research stations placed in most of the major towns and cities and even some chosen rural districts that make a good market for it. Thus, FMCG careers offer a great traveling experience and coverage. Most the FMCG companies have their office and presence abroad as well. This is because their goods and products are exported and distributed via one chosen office. Most of the times, aspiring and hardworking professionals from India offices are sent as delegates for research or for training too. Hence, FMCG careers offer everything that an ideal career option should – exposure, quick and deep experience, and of course, most importantly, job security with good money.